One person was dead, and 22 others injured in Times Square. Was it an act of terrorism? Or a tragic accident? In fact, it turned out to be a case of drunk driving. 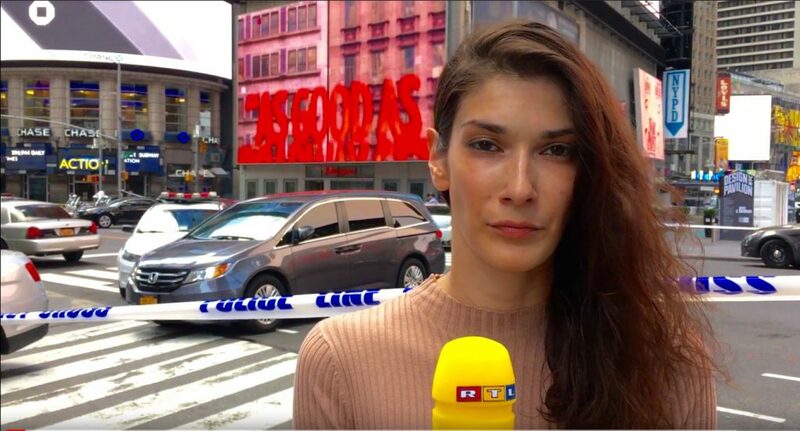 A TV news reporter in her home country of Croatia, Lada came to NYFA to become a multimedia journalist. So did former Alaska resident Kyle Morris. Fortunately Lada still had a microphone windscreen emblazoned with the letters RTL — the initials of well-known European broadcaster Radio Television Luxembourg. Lada did an on-the-scene report direct from Times Square for RTL, with Kyle shooting her stand-up on her iPhone. The story first aired in Croatia, then went viral online. Now in its 25th year, the New York Film Academy has established itself as one of the premier visual and performing arts schools in the world. It has campuses in New York City, Los Angeles and South Beach, as well as locations in Australia, Florence and Mumbai. 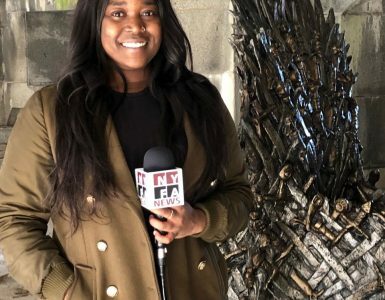 Information about the NYFA Broadcast Journalism program can be found at www.nyfa.edu/broadcast-journalism-school/.